A half century ago Peter Drucker put management on the map. Leadership has since put it off. 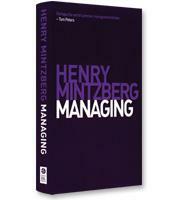 In his latest book, Henry Mintzberg aims to restore management to its proper place: front and center. “We should be seeing managers as leaders,” he writes, “and leadership as management practiced well.” This book is classic Mintzberg: iconoclastic, irreverent, carefully researched, myth-breaking. Managing may be the most revealing book yet written about what managers do, how they do it, and how they can do it better. Where has all the judgment gone? Has management style been over-rated? Is e-mail destroying management practice? How are managers supposed to connect when the very nature of their jobs disconnects them from what they are managing?